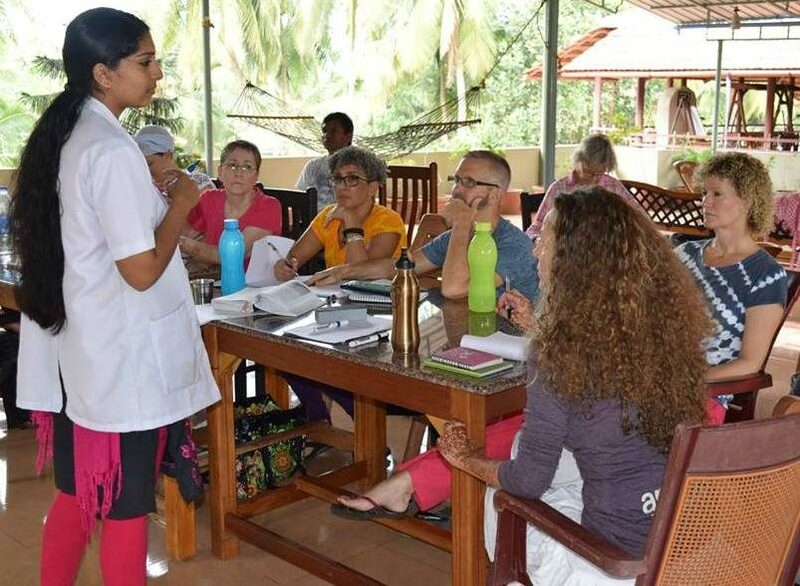 The course is designed for Fresher’s as well as Health practitioners, Kiro practitioners, Yoga person, Aroma therapist, Nurses, Psychiatrist, Fitness instructors or those who want to deepen their knowledge into Ayurvedic medicine for practicing / to endeavour as a professional Ayurvedic lifestyle consultant. You can take charge of your clients with healing touch, a wider range of curative, preventive and promotive health guidelines, anti stress, anti aging and therapeutical applications, Lifestyle management aim at to scheduling Ayurvedic protocol to heal his or her body & soul. Our Ayurvedic consultant program is an integrated approach in preventing and treating illness through lifestyle interventions and natural therapies. Here the learning modules that will give you deep understanding of basic principles of Ayurveda, day to day routine life style, seasonal, personal, social protocol, physiology of yoga, medication, healthy life food style & Ayurvedic nutrition, cooking, rejuvenation therapies and panchakarma as per classical direction which is worthwhile in this technical era. Marma massage with the magic marma stick, age old scientific interpretations & with its practical knowledge will gain ultimate approach to heal the pain and give relaxation at the best. Different kizhis and Kerala rejuvenation therapies will help you to treat variety of diseases. Preparation of different unique Kerala herbal medicines: Oils, Lehyas, Gudikas and Decoctions, under old aged Vaidya who dedicated his whole life for this divine science is a very rare opportunity for an ayurvedic aspirant. Here you feel a Gurukula traditions followed under this eminent Vaidya. This is an entity admired by all; we give you intense study to enhance your knowledge as well as the professional life the healing touch and proper facade. Here at Greensayurveda thorough training and experiencing natural beauty will color your career as well as professional life. The cookery training not only makes you aware of the tastes for each ailments, each doshas as well as expertize you to cook in Ayurvedic way. Kerala –‘Gods own country’ renowned for its rare traditional martial art ‘Kalari’ is not a mere entertainer but is the ‘system for cure and wellbeing. Here its made to understand and practise better with our experienced Kalari teachers- Guru’s. Here Vedic era is renewed as we study and practise this system combined with modern study of anatomy and physiology. ‘Pedal massage’ is a rare and secret system under Kalari massage is unwinded for our students, this is a golden mystery unfolded for you under the course. As far as the clinical side, Practical study is done in our in-patient and out-patient departments. The 12 states of art Panchakarma treatment rooms and thirty plus in house staff who is taking care of local and international patients at Greensayurveda will fulfil your thirst for true knowledge. You get the rare opportunity to see, observe, consult and undertake some therapies for genuine patients is one among other uniqueness of Greensayurveda centre while comparing the other centres. Here we are giving intense detailed experience for every single step of patient deal and care. You can work under Greensayurveda system for case taking, Nadi-pariksha: pulse assessment and prescribing the therapies and medication with our Greensayurveda doctor faculty. Chatting with our blessed Yoga acharya Atma Ram will enlighten your spiritual knowledge and carve your life according to the classical measures and you will become a blessed Yoga contender. The confidence to differentiate between the medical importance and the prognosis of the different aliments to safe guard the errors while you deal with genuine patient, is built in you after 16 weeks of intense training, we focus on high level of self confidence for the future professional carrier life is promised to be in your hand, and you can serve as a family doctor for your clients. 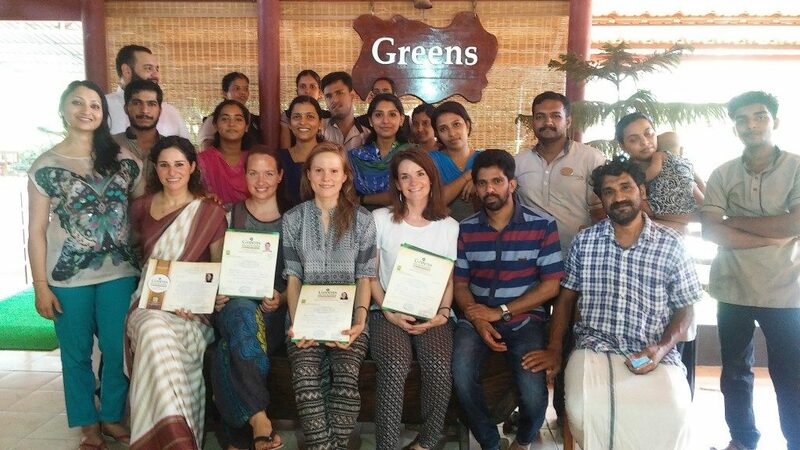 Greens Ayurvedic lifetsyle consultant program Course emphasizes prevention of disease, rejuvenation of our body systems, anti-ageing and extension of life span. The profound premise and promise of course is that through certain practices not only aim at prevention of disease but also better understanding of ourselves and the world around us, live a long healthy life in balance and harmony, achieve our full potential and express our true inner nature on a daily basis.